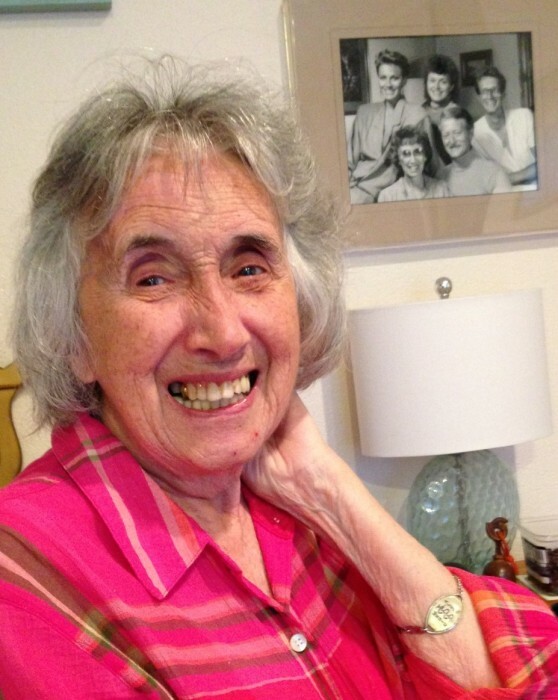 Age 93, of Costa Mesa, CA, originally of Cardiff, South Wales, UK, passed away in her sleep on Friday, January 18, 2019 at her home in Madison House. She was born on May 3, 1925 in Cardiff. Her family was not well to do, her father being a barber and her mother a seamstress, but it was an affectionate and supportive family. 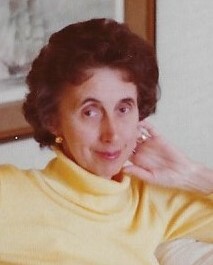 Margaret was the youngest and early on showed a love of learning which continued throughout her life. She had an inquiring, analytical, and poetic mind combined with an underlying bravery that was usually camouflaged by her seemingly timid nature. After surviving WWII in her native country, this bravery was evident when she emigrated by herself to Southern California where she met and eventually married Glenn L. Smith. While raising three children she spent 13 years working on a University degree and after graduation she worked as a kindergarten teacher for 14 years before retiring. In the ensuing years she stayed busy working part-time for Orange Coast College, volunteering at the Costa Mesa Library annex, and helping to care for her husband in his final years. Margaret fought and survived colon cancer in 1980, but did not escape Alzheimer’s disease which over her last 14 years held her in an increasingly more constrictive neurological jail. It gradually took that which was of most value, her intellect and wit. Everyone who knew her considered her to be not only an amusing and intellectual woman, but a thoughtful and ethical person. She cared deeply for each student she taught and approached her life responsibly and with determination. Her wit, kind consideration, and probing intellect will be genuinely missed by all who knew her. Her children are most grateful to have had two such caring, honest, hardworking parents who instilled in them a love of theatre, music, dance, and lifelong learning. They taught that to be honest, giving, and thoughtful were admirable qualities which we should always have. They will both be sorely missed. Margaret is survived by her three children, Leslie (Bill) Nelson, Michael J. (Christy Bain) Smith, Belinda (Buck) Schober; two grandsons, Nathan and Andrew Smith; six step-grandchildren, Andrew and Laura Nelson, Mimi and Violet Bain, Patrick and Michael Schober; her brother-in-law, Jim Smith; nieces and nephews; and her dear friends, the Haven family and Viki Rayburn. In addition to her parents, she was preceded in death by her husband, Glenn; her beloved brother, Alan Mends; her sister, Betty Bader. A gathering of those who loved her will be held at a future date. Online condolences may be left at www.WolfeNelsonFuneralHome.com. In lieu of flowers, the family would appreciate donations in her name to the Costa Mesa Library Annex, 2969 Mesa Verde Drive E., Costa Mesa, CA 92626.